Diseases of the hip joint can be quite hard to handle. Diseases of this kind require a constant use of pain relievers. Medicine over the years have advanced, but an efficient and fast treatment of hip joints has not been yet. The best method so far has been surgery. However, it comes with a lot of side effects, such as degeneration. Also, the hip bones are replaced with artificial implants, which is not always reliable. On the other hand, stem cell therapy is an efficient and reliable alternative, for the treatment of hip joint conditions. 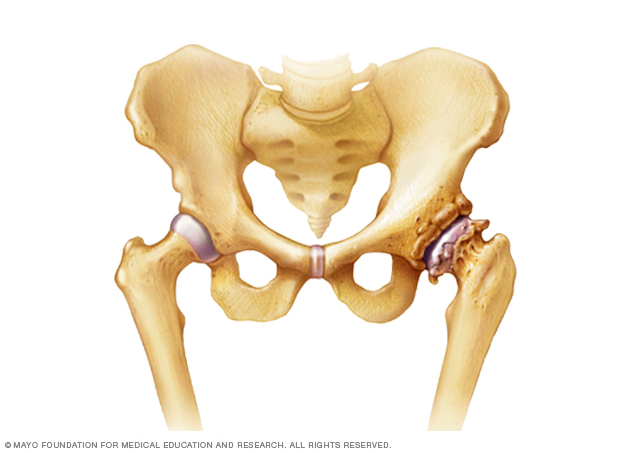 Hip diseases are the disorders that affect the bones of the hip joint. It’s a joint that holds the head of the femur, to the pelvic bones. This joint essentially carries the weight of the upper limb and the trunk. Inside the joint, are cartilages and ligaments that bind the femoral head to the bones of the pelvis. This joint allows the lower limb to move in different directions, such as forward, backward, and laterally. The joint is composed of capsules, femoral head, and cartilages. Any problem with any these would incapacitate the hip joint. The hip joint is important of the body, so whatever disease afflicts it, makes the whole body weak. It’s a painful process: The surgical procedure for the treatment of joint diseases always causes a lot of discomfort for the patients. It’s limiting: Most patients are usually not able to return to their former life. For example, if an athlete undergoes a hip joint procedure, that would most likely be the end of his/her career. In facts, patients are often advised to desist from activities that are too physical, so they don’t hurt themselves again. Replacing the joint is only a fraction of the battle: Replacing the hip bones, or fixing an artificial implant is just a fragment of the picture. People who undergo hip joint corrective procedures, do have a disruption in their body shape and balance for life. Constant use of pain medications: Patients must take a lot of drugs to relieve the discomfort, that comes after the surgery. Also, these drugs come with a lot of side effects, that the patient has to live with. Some of these side effects are nausea, vomiting, headache, gastrointestinal problems, and addiction. It’s expensive and not reliable: Apart from the fact that, patients might need more than one procedure, to be able to live a normal life, the outcome might not be for too long. As an illustration, there have been reports of the degeneration of artificial implants, some years after surgery. Coupled with this, the surgical procedures are costly. The cost might be unbearable for patients who do not have a solid insurance package. The reasons above alongside other points not stated here necessitated the need for an alternative. This is what stem cell therapy for hip joint disorders represents. How Does Stem Cell Therapy For Hip Disorders Work? They are natural, and without side effects, as compared to surgery: Stem cells are the body cells that are capable of regeneration, and this is what makes it the ideal treatment for hip diseases. When introduced into the affected place, stem cells develop to form new tissues. It’s a painless procedure: As compared to surgery, stem cell transplant is a procedure that bears no discomfort of any sort. In fact, a patient can leave immediately after the procedure, if he/she so wishes. It’s not limiting: As earlier mentioned, the most patient that undergoes a surgical procedure for their hip disorders, do not return to their former way of life. They are prohibited from any serious form of physical activity. This is not the case with stem cell therapy. As an example, George Chaung, a 56-year-old athlete, broke his hip while skiing. His doctor advised him to undergo surgery, but he decided against that and settled for stem cell therapy. After some series of stem cell treatments, George Chaung did not just return to skiing, but he also picked up another cycling and went ahead to win medals in this sport. There is no evidence of side effects: While surgery is accompanied by side effects such as degeneration and discomfort, stem cell therapy is without any complications and side effects such as emboli and infections. No rejections: The process of stem cell therapy is completely natural. The transplanted cells are usually gotten from the patient. This is why the procedure is without any form of tissue rejection and complication. Darrow, M. (2017). Are stem cells a realistic option for the athlete with knee osteoarthritis? – Dr. Marc Darrow is a Stem Cell, PRP,Prolotherapy Expert in Los Angeles.. [online] Dr. Marc Darrow is a Stem Cell, PRP, Prolotherapy Expert in Los Angeles. Available at: http://www.stemcellinstitute.com/stem-cells-for-knee-osteoarthritis-in-the-active-sports-minded-patient/ [Accessed 13 Dec. 2017]. Gaurav K. Goswami, M. (2017). Is Stem Cell Therapy for Arthritis Safe and Effective?. [online] Arthritis-health. Available at: https://www.arthritis-health.com/treatment/injections/stem-cell-therapy-arthritis-safe-and-effective [Accessed 13 Dec. 2017]. https://newsnetwork.mayoclinic.org. (2017). Mayo Clinic finds surprising results on the first-ever test of stem cell therapy to treat arthritis. [online] Available at: https://newsnetwork.mayoclinic.org/discussion/mayo-clinic-finds-surprising-results-on-first-ever-test-of-stem-cell-therapy-to-treat-arthritis/ [Accessed 13 Dec. 2017]. StemCell ARTS. (2017). Stem Cell Therapy for Knee Injuries and Arthritis – StemCell ARTS. [online] Available at: http://stemcellarts.com/commonly-treated-conditions/stem-cell-therapy-for-knee-injuries-and-arthritis/ [Accessed 13 Dec. 2017]. Newer PostHow do we get the stem cells?